The Ono basin is surrounded by mountains. Echizen Ono Castle is categorized as “Hirayamajo”. 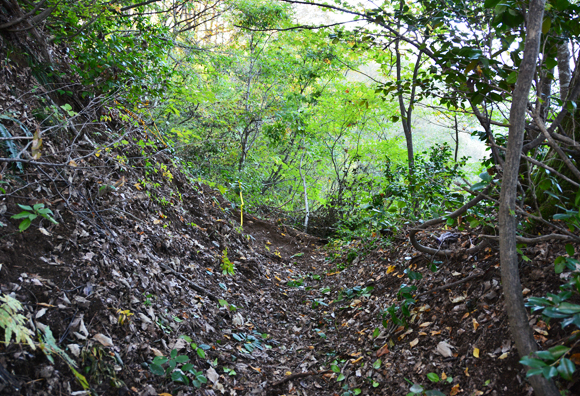 This castle was built at Kameyama located in the central area of Ono City, with an elevation of about 249m(817ft). The castle town spreads out at the foot of the castle. 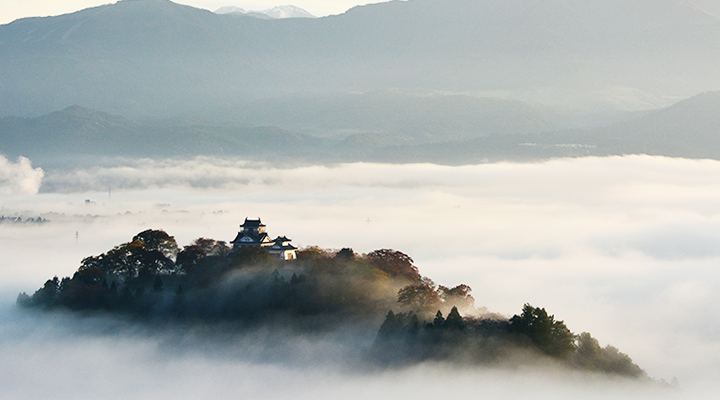 When this castle town is wrapped up by a sea of clouds and only Kameyama seems to be floating in the air, “Echizen Ono Castle, a castle in the sky” makes its appearance. 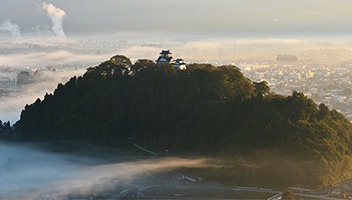 Echizen Ono Castle is “the castle in the sky”. You will find the castle town hidden below the sea of clouds. As the sea of clouds disappears, the castle town reappears. When you look at this scenery, you will feel magical as if you were wandering around ancient Ono. Period from October to the end of April. 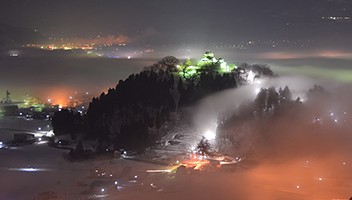 It is said that “Echizen Ono Castle, a castle in the sky” makes its appearance most often around November. Time from dawn to around 9:00 a.m.
1. High humidity in the previous day (such as one day after a rainy day). 2. Large disparity of temperature difference between that of a previous daytime and that of the morning of the viewing day (such as the day when we experience the radiative cooling phenomenon). You can view “Echizen Ono Castle, a castle in the sky” from the south “Demaru” (a fortress built onto and projecting from a larger castle) of the remains of Inuyama Castle. Inuyama Castle is a cultural property designated by the city. 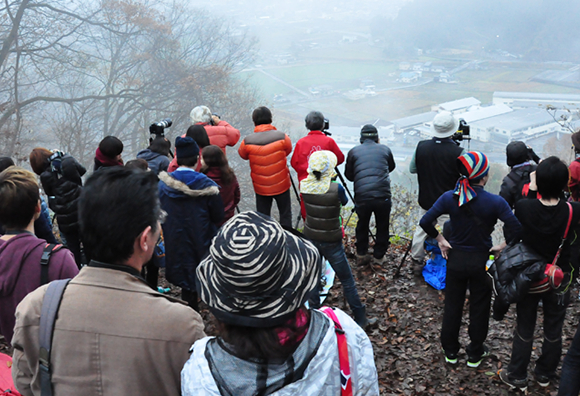 Its elevation is 324m(about 1063ft) and it is located about a kilometer west of Echizen Ono Castle. 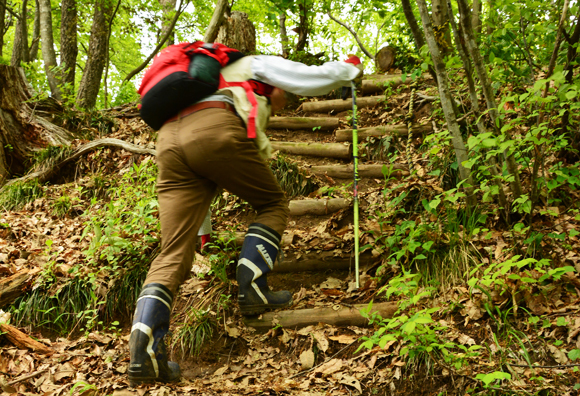 Caution: please be careful because you will be climbing a mountain trail on foot. 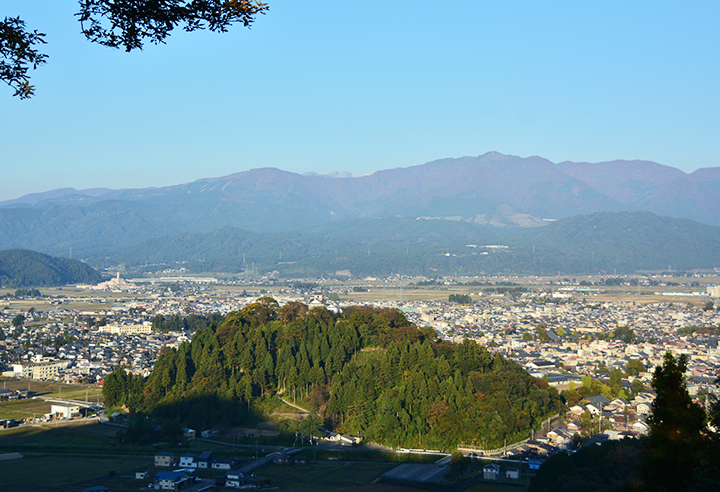 This is the live view from Echizen-Ono Castle.Please enjoy the townscape of the castle town. The camera can be blocked by fog. ©Ono City. all rights reserved.